For as long as I can remember, my mom has made wassail at Christmas time. Growing up, I remember seeing the big pot sitting on the stove while the spices were simmering and waiting for the time when it was all finished so we could drink it. In my family we all have our favorite ways of drinking it - hot, cold, or by the bucketful in my brother's case. 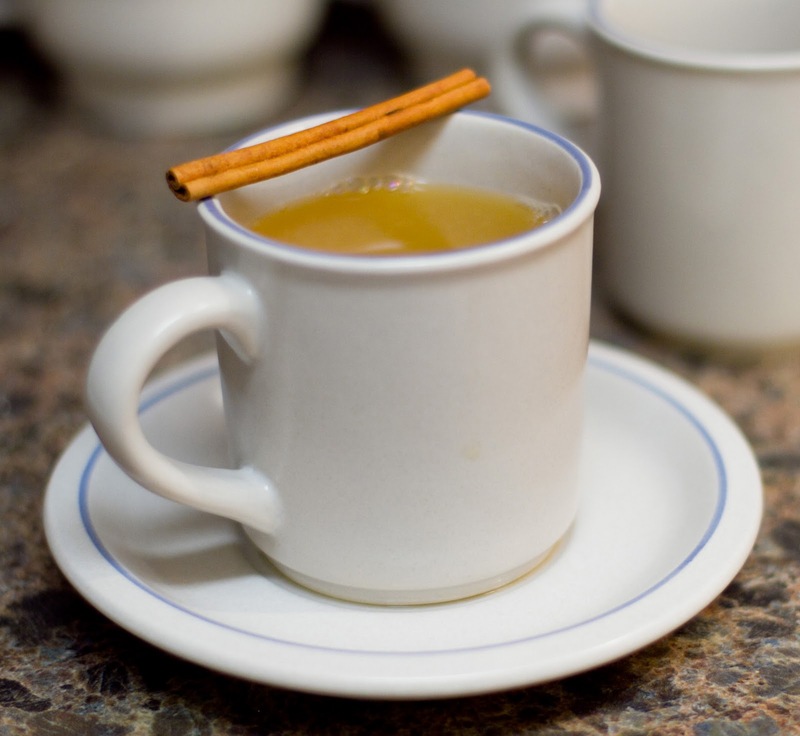 Note that the apple cider in this recipe is actual cider, and not just apple juice labeled as cider. The closest thing I've found on a regular basis is the "Simply Apple" juice. You know you've got a good cider when it's not clear and has a slight tang to its sweetness. This recipe can be adjusted for how sweet or sour you like your drink to be. My mom generally puts in less sugar, and sometimes I leave out a bit of the lemon juice. No matter how it's made, it's one of my favorite holiday food traditions. Boil sugar and water 5 minutes. Remove from heat and add spices. Let stand at least 1 hour. (Overnight is not too long). Use a strainer to remove spices and add juice and cider to liquid. Bring to boiling point. Serve.